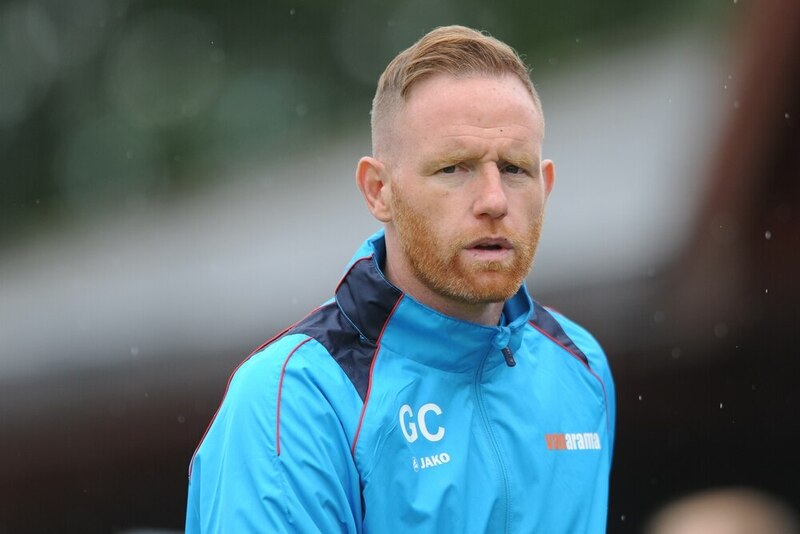 Gavin Cowan is hoping to complete the double over a boss he has the utmost respect for as AFC Telford United travel to Brackley Town tomorrow. The fifth-placed Bucks are out to boost their National League North play-off hopes by beating Kevin Wilkin’s four-points-behind Saints, who they won 2-1 against in August. Cowan spent several years playing under Wilkin at Nuneaton and said: “I worked under the gaffer for quite a few years, so I’m well aware of the types of players he recruits and his man management. It is fitting that Telford are facing last year’s FA Trophy winners, hot on the heels of making it to the quarter-finals themselves by beating Spennymoor Town on Tuesday. But Cowan says the upcoming Trophy trip to his old club Solihull Moors – for which the Bucks have been given an initial allocation of 500 tickets, priced at £15 for adults – is of no concern at the moment. “There are no thoughts on any of that, anything to do with the Trophy at the moment,” he added. “Tuesday night was great and we really enjoyed it, but now we’re focusing on the league again, playing a team who are around us in the table. The Trophy is a great competition, but in the meantime, we’ve got a job to do in the league.